Nerds Know is the premiere entertainment panel group of South Florida. This collective of talented nerds has extensive knowledge in virtually every field that would matter to geeks, nerds, and otaku alike! 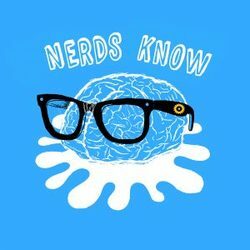 Disney, Retro TV, Anime, Japanese culture, cartoons, all things retro, comics, and institutional convention knowledge are just a few of the topics the Nerds Know has under their belts. But don't get too comfortable in your seats, as their events all have huge audience participation, so you won't have a chance to be bored in your seats!